Incorrectly called the “only democracy in the Middle East,” Israel is the only country in the world which automatically prosecutes children in military courts that lack basic fair trial guarantees. Since 1967, two separate legal systems operate in the Occupied Palestinian Territory, based on nationality and ethnicity. Israeli settlers living in the West Bank are subject to the Israeli civilian and criminal legal system. But military law is applied to the whole Palestinian population. Since 2000, at least 8,000 Palestinian children – an average of 500-700 each year – have been arrested, detailed and prosecuted in the Israeli military detention system. The majority are charged with throwing stones, and three out of four experience physical violence during arrest, transfer or interrogation. 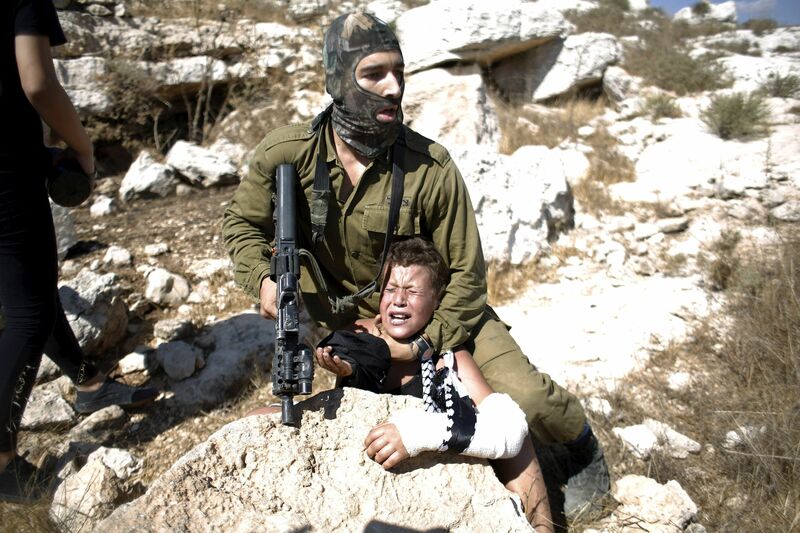 No Israeli child ever comes into contact with the military court system. These children are taken from their homes at night by heavily armed Israeli soldiers. Hours later, they arrive at a detention center, sleep deprived and often bruised and scared. Interrogations regularly include verbal abuse, threats and physical violence that ultimately result in a confession. They are not accompanied by a parent and are generally interrogated without legal advice. Military court judges rarely exclude evidence obtained by coercion or torture, including confessions drafted in Hebrew, a language most Palestinian children do not understand. Ahed Tamimi is one such child, arrested for slapping an Israeli soldier after years of attacks against her family and village. On March 21, an Israeli military court condemned Ahed and her mother to eight months in prison and fines of $1,500 each. Their choice? Plead guilty and be jailed for a few months, or plead innocent and face prison for up to 10 years. Meanwhile, silence and complicity with apartheid Israel is the response from the government of Canada. Shame on every MP who refuses to speak out against this abomination!